From a galaxy far, far away this Star Wars Solo Han Solo and Lando Calrissian Vynl. Figure 2-Pack comes with Han Solo and Lando! 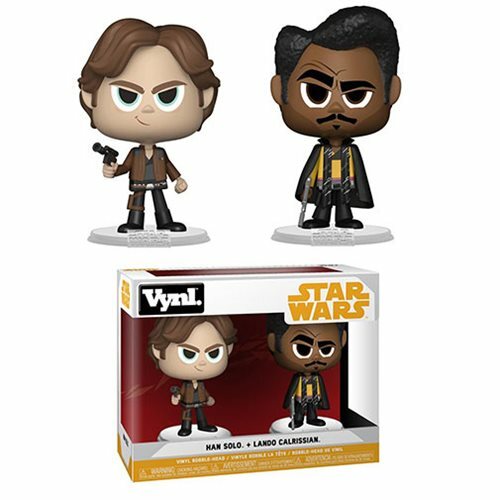 Funko,Star Wars,Vinyl Figures,From a galaxy far, far away this Star Wars Solo Han Solo and Lando Calrissian Vynl. Figure 2-Pack comes with Han Solo and Lando!